Chief Barr. Sen. Peter Onyelukachukwu Nwaoboshi, is a man of many parts, he is a father, a legal luminary, a business Mogul and a Political Juggernaut, the most Distinguished Senator Representing Delta North Senatorial District in Nigerian Senate means different things to different people; to his wife and children he is a loving husband and a kind dad, while to us his admirers he is known as the political Oracle of our time, the Political Strategist but his detractors always erroneously see him as Obstacle because he will never allow them to cheat his Anioma people. The Aguwajiejemba of Ibusa, Oshimili of Akwukwu Igbo Kingdom, the Ide of Okpanam Kingdom, the Oracle the Miracle of Delta Politics. These are his Chieftaincy titles and Political nick names. Oracle is not only the Pride of Oshimili North but also the Pride of the entire Anioma nation for whom he had waged countless political wars for and won virtually all, just like the Greek mythological Odyssey who fought and won difficult battles in History, the Political Oracle of our time also fought and won many battles even those considered as herculean in nature for Anioma people,one of such is ensuring the emergence of the first Delta North born Delta State Governor in 2015 Governorship election against all odds. 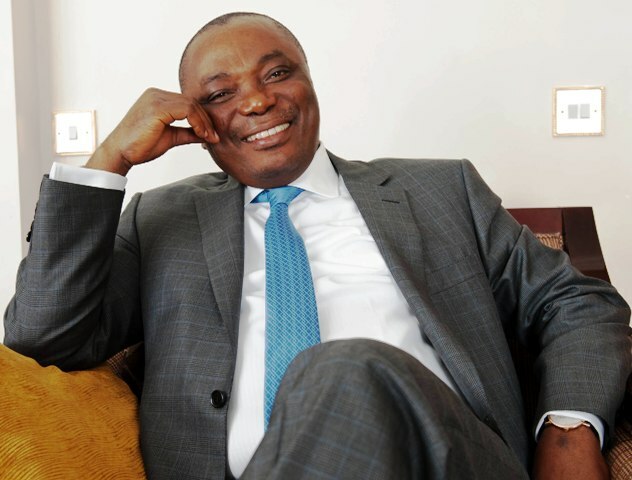 Born on the 29th of June 1957 into the family of Obi Francis Nwaoboshi of Idumu Obi, Isieke, Ibusa, Oshimili North Local Government Area of Delta State, He is an intellectual with four Degrees, BA Hons (1986), LLB Law, University of Benin,Benin City, BL,Nigeria Law School Lagos, LLM Masters Degree from Delta State University, Abraka. He is also a Political Administrator with vast experience of over 35 years. He was A Political Aide to the then Governor of defunct Bendel State in 1979, Chairman NRC, old Oshimili LGA from 1991-93, State Deputy Chairman DPN Party from 1995-97. He was one of the FOUNDING MEMBERS OF PEOPLE’S DEMOCRATIC PARTY (PDP), Delta State Chapter, the first State Secretary General, PDP Delta State Chapter in 1998. Indeed his Chambers was made the first PDP Secretariat, Delta Chapter, he was a Political Adviser to Chief James Onanefe Ibori, the then Governor of Delta State. He was Commissioner for Agriculture and Special Duties Abuja respectively. Chairman Raw Material Research and Development Council, Abuja. He was a member Board of Directors, NEXIM Bank International and the Chairman of Committee in charge of Credit Facilities. He is the Father of Equity in Delta Politics, whose struggle gave birth to the emergence of Governor Uduagha in 2007. He was elected PDP Delta State Party Chairman in 2008, later re-elected for his 2nd term in 2012. As the Party Chairman he built a befitting PDP Secretariat for Delta State PDP which was described by former National PDP Chairman, Adamu Muazu as the best and biggest in Nigeria, he was the only PDP state Party Chairman till date to have bought brand new cars for 25 PDP L.G.A Party Chairmen Responding to his people’s (ANIOMA) call, he resigned his Party Chairmanship position to contest for the DELTA NORTH SENATORIAL SEAT in 2015. His vibrancy and dynamism at the National cannot be pushed over. He has really voiced out for his people, fought for his people’s common goals-Anioma Governorship Agenda. This today has Anioma People achieved. He remains the only Senator who knows the plight, feelings and desires of his People-Anioma People. The Oracle within a short period of time in Nigeria Senate had been able to amplify the voice of Delta North like never before and also proved himself a force to reckon with among frontline players of our national politics. Indeed the 59th fruitful years of the political Oracle of our time had been useful and Resourceful, using the investment of his personality for service to humanity. Therefore today let me on behalf the PETER ONYELUKACHUKWU NWAOBOSHI MEDIA (PON MEDIA TEAM) join the rest of Delta Northerners, Deltans and Nigerians at large today to Celebrate our iconoclastic Senator Barr Peter Onyelukachukwu Nwaoboshi, our Principal, Sir We Wish many more years to the service of humanity.